How to use Burlap Ribbons for nice decorations? Sometimes it makes us fascinated to see creative beautification by using simple materials. Yes, it happens with almost all of us. We always think about the idea planners who have the mastery on doing those artistic adornments of the things we ignorantly left out here and there. But, one thing is certain that all time we don’t have to become the architects of innovative designs. The availability of so many concepts gives us the courage to beautify the stuffs around us according to our wish. There is no doubt that it is possible only by Burlap Ribbons. Now, let’s have a look on the various ways of making awesome ornamentation. True to say, it is really adorable and lovely thing. Almost everyone wish to prettify their living rooms with colorful pillows. It will be great if we use Burlap ribbons that will unquestionably give an amazing look to the pillows as well as the ambiance. This is really a great notion to do this task because this product is flexible, light, reusable and also durable. There are different shapes and colors available at our nearby shops. We just need to pick the right color that will go with other stuffs of my living room. This is another innovative means of trimming. We just need to select a suitable size and shape of a vase type open cans that can be garlanded by various colors. Next step is to put this somewhere in our room. This will definitely give an extra extent of gorgeous appearance that should be appreciated by everyone. If an easy and single step can make someone’s mood blithe then we should go for the carefree effort that can also make us happy. This is a unique and brand-new preparation for making a room fabulous. 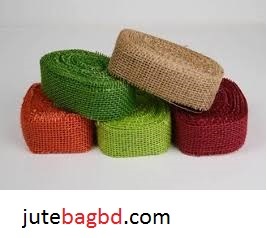 Burlap ribbons used for curtains are really great concept especially for those who seek distinctiveness. Curtain is something that defines how a room will look like. Although, color is important but I think material is the most significant. Now, this is our turn to change the lovely house adorning with such an elegant curtain. Burlap Ribbons can also be used for shaping and redesigning our favorite casual hand bags. There are various types of bags with diverse vividly shaded colors. We just have to do some little effort by attaching small flowers or something else made by Burlap ribbons on the bags. This is only possible by Burlap ribbons that will certainly be praiseworthy and the expression of everyone must be ‘wow’. We put lots of energy with lots of happiness to adorn our lovely Christmas tree. If we want to add some extra value on it we can use this ribbon without any hesitation. Actually, people are inherently passionate about beauty. Prettiness can strengthen the positive impression within a moment. We must not ignore the importance of beautifying or adorning everything around us as well as ourselves. The thing is, we can do this with the most available and reliable as well as convenient materials like Burlap Ribbons.